Miglena Hristova’s factory near the Danube is among a growing number in southeastern Europe positioning themselves to help top brands adjust to faster fashion cycles. 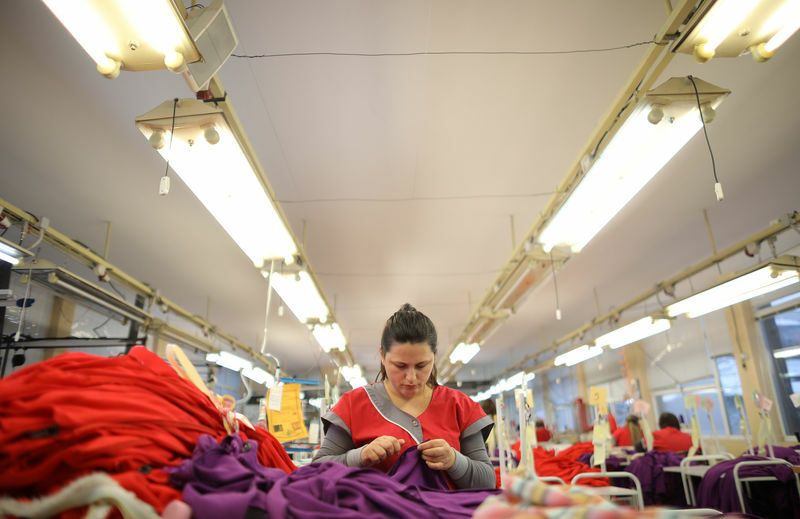 “In the more luxury segment you make fewer pieces but they are more profitable, which is why we are now targeting them,” Hristova said at her factory in Rousse, where some 40 workers stitch dresses, women’s tops and trench coats. She said orders and inquiries from top brands were increasing and she has invested in machines to do the specialized stitches, buttons and ironing they demand alongside hand sewing, which is sometimes done through contractors. She is also installing a fitness room, new bathrooms and renovating the canteen to hold on to workers tempted by higher paying jobs elsewhere as Bulgaria’s economy grows. “Convenience and proximity are only two of the precise criteria used by the Group to pick its suppliers; the essential requirements are quality, reliability and the respect of company conduct codes,” said Italy’s Armani, which confirmed it had some suppliers in eastern Europe. “You need different producers, more capacities with shorter lead times,” said Achim Berg, head of global apparel, fashion and luxury practice for management consultants McKinsey. “This is benefiting local producers in the southeastern European region,” Berg said. Italian down coat maker Moncler MONC.L, which is pioneering faster production times in the luxury world with monthly launches of limited editions, invested around 5 million euros to set up its own manufacturing plant in Romania in 2016. Hristova declined to give details of what she produced, citing confidentiality agreements. The website of her company, MIK-BG, lists Givenchy and Kenzo, two labels owned by Paris-based luxury conglomerate LVMH’s (LVMH.PA). LVMH did not respond to requests to comment. “There is no way to jumpstart with the luxury brands. You start with the lower end, once you prove yourself and deliver on the quality they demand, then you start to receive a higher class of clothes,” she said, citing production times of four to six weeks. Mihai Tincu, who runs one of Romania’s biggest clothing manufacturers, Rapsodia Conf, said luxury goods firms deliver materials for it to assemble and orders were getting bigger, mentioning Italy’s Prada (1913.HK) and French fashion house Maison Margiela. In the first six months of last year, 4,000 people quit the sector, leaving around 88,000, just over half the number a decade ago. “It is called light industry but it is not light at all. People need a lot of skills. And the people with the right set of skills are getting close to retiring age,” Hristova said. “If a dress takes 100 minutes to make, the cost is 16 euros for mid-range and 40 euros for luxury brands, she said, adding the mantle of cheap clothing supplier, once held by Bulgaria, had long since moved to China and would shift again. “The next Bulgaria will be somewhere in Africa, most probably,” she said.